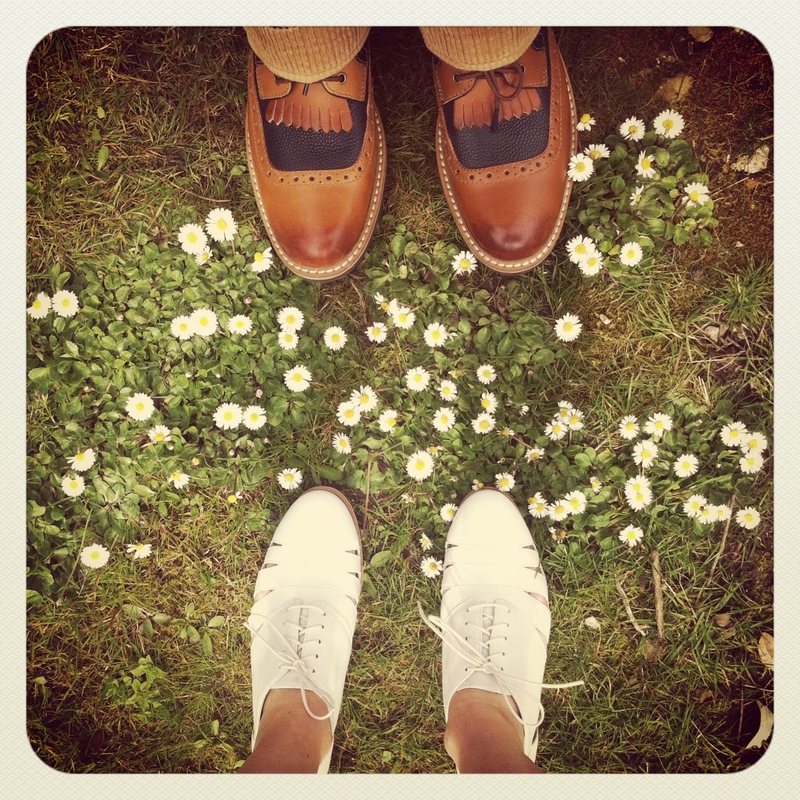 Loveable Brogues: win a pair of Clarks shoes! And so on to a subject I know you’re all keen on: Clarks. The classic British shoe brand has a cracking collection for summer, with some old favourites reinvented in lovely new colours – like Hamble Oak in grey, white and silver (sketched by me below) and Hotel Diva in cream, taupe and tan – as well as some lovely new styles like Hotel Image (above) and Fenners Fun with airy cut out details. Lots of PERFECT summer shoes to choose from. But here’s the really exciting bit. Clarks are running a brilliant competition called Loveable Brogues – enter and you could win a weekend away, as well as a pair of brogues – of course! All you need to do is post a picture on Instagram either of you and your other half wearing brogues, or of you in an old favourite pair, and you’re in with a chance of winning (there are runners up prizes too). Me and Mr Brogue have been having some fun taking pictures with some of Clarks new season styles to give you inspiration. Having tried these shoes out I can confirm that they are as ridiculously comfortable as you would expect from Clarks, with their springy insoles and great fit. Mr Brogue – previously a Clarks Originals kind of guy – was also impressed, particularly with Darby Desert (top) as the fringe is removable, giving him two different looks in one shoe. You can see all of the Clarks new season flats here. So go on, enter now! Here’s all the official competition stuff from Clarks; don’t forget to hashtag your pictures or you won’t be eligible to win and you’ve got until April 30th to upload your picture. 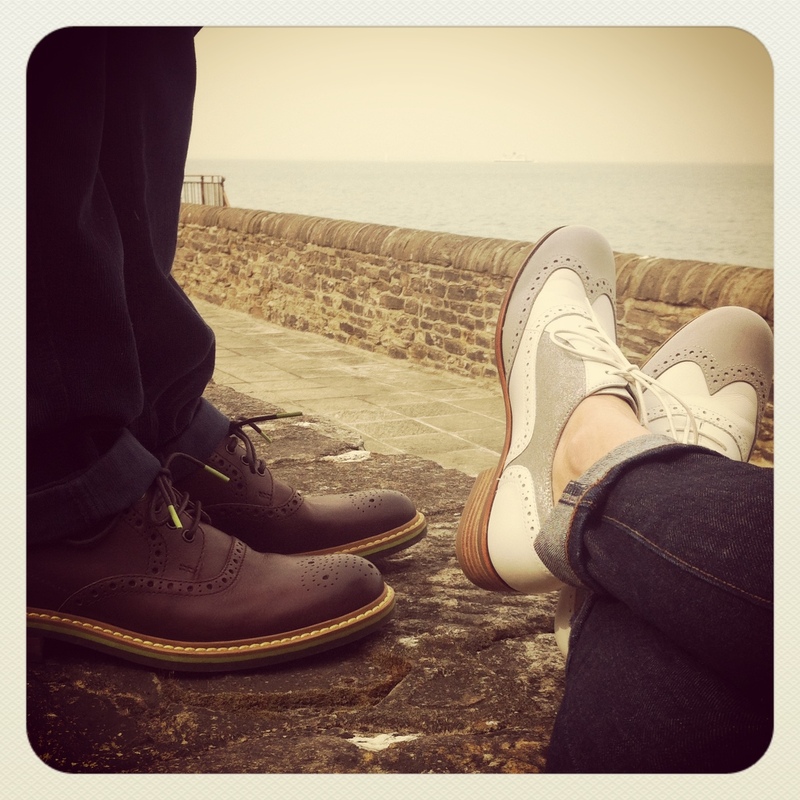 Do you and your other half love a good brogue? Or do you have a pair you just can’t stop wearing? 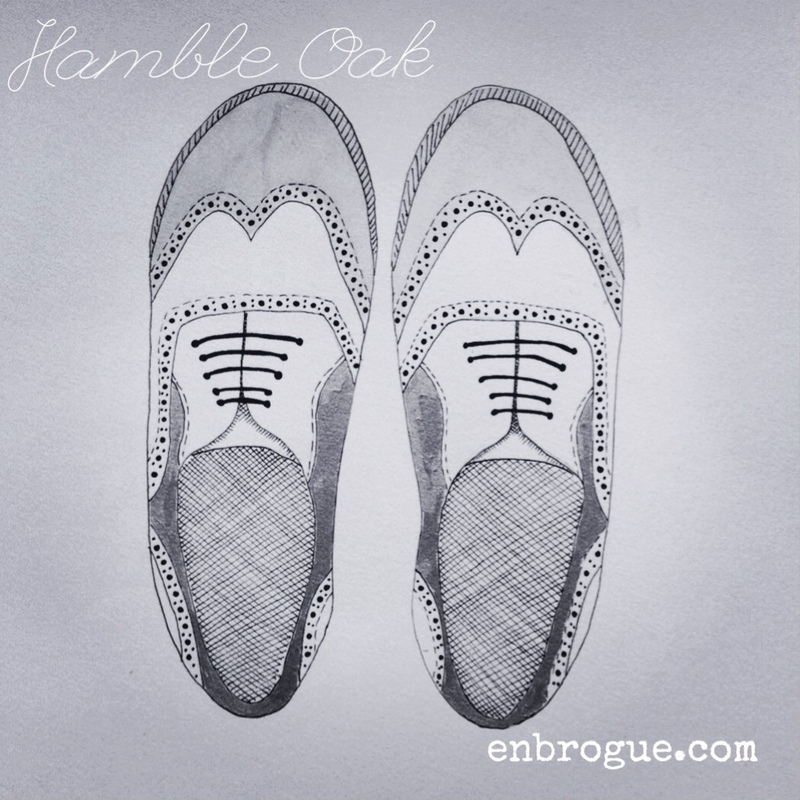 We want to find your Loveable Brogues! Snap a picture of your “couples brogues” or your most loved pair of brogues, upload to Instagram with #LoveableBrogues and you could WIN a weekend away, courtesy of Mr & Mrs Smith, plus a brand new pair of brogues from this season’s collection.